Ever since the legendary Jazz trumpeter first coined the phrase “World Music” to describe the new idiom in which he was expressing his music in Sweden, in the late 1960s many musicians and ensembles started doing the same; calling their new creations by similar names. Musicians did have to incorporate a breathtaking array of music and musical instruments to achieve what became a uniquely different sound. The result is a global machine that is now in operation and a new “commercial category” (for it remains just that in most cases) has come to be created called “World Music”. But commercial success often does not equate to artistic success. 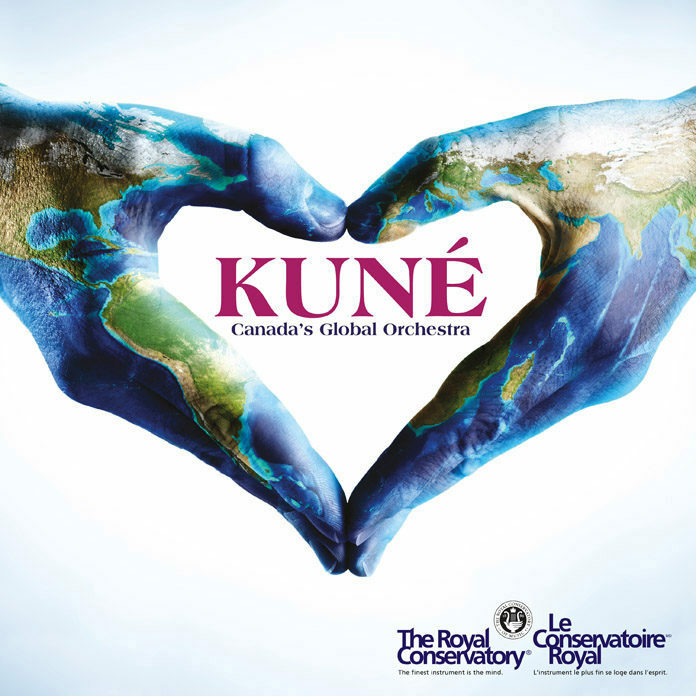 Not unless you’re Don Cherry… or a serious contender – an orchestra called KUNÉ Canada’s Global Orchestra. To begin with the name itself is poignant. It is – significantly – an Esperanto word for “together”. However, lest the use of a word in an obscure and unsuccessful attempt at uniting the global community in a new language be seen as something almost gimmicky, it bears mention that one must evaluate everything that the orchestra does on the basis of the music it produces. First off, bringing twelve musicians from – strictly-speaking – impossibly disparate backgrounds represents an enormous test in itself. An even greater and virtually insurmountable challenge is melding the twelve traditional (folk), as well classical and contemporary disciplines together in a unified voice and that too seamlessly. 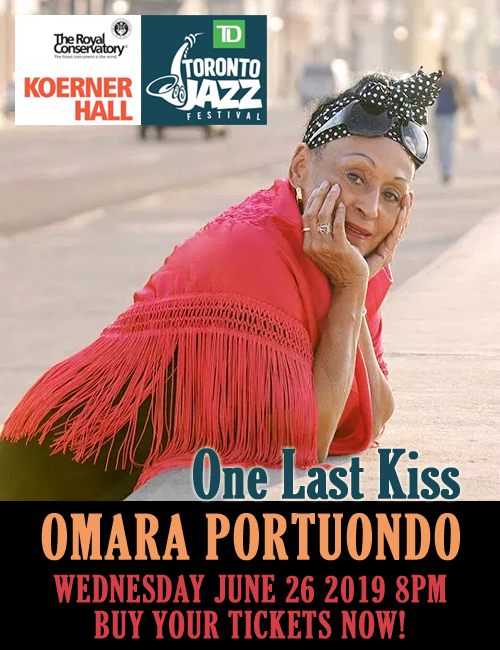 However, in the case of KUNÉ Canada’s Global Orchestra this close encounter of the proverbial “third kind” has resulted in a musical collision that is remarkable in the creation of a fiery fusion born, so to speak, like coronas emerging from the nuclear furnace of the earth’s sun. If music is the most all-encompassing expression of human emotions then this music has succeeded in “singing” with one voice, through twelve musicians magically embodying one spirit – that proverbial thing we call “The Human Spirit”. But all this would be empty pontificating if the music did not ring true not only in its remarkable diversity, but also because of it. These fourteen songs performed by KUNÉ Canada’s Global Orchestra do two things: they take a myriad of disparate instruments out of their natural, earthly surroundings and give them a new voice in the studio (and on a stage) of human making. Remarkably each song, enriched by the array of languages and musical idioms is born anew in a manner that seems unique to the voice of KUNÉ and its musicians, who, of course, now “sing” as one. One has only to listen to Paco Luviano and Hannah Burgé’s “Espera, Esperanto” to hear the magic. The song melds everything from the music of Indigenous Canadian people to Klezmer and (remarkably) even rap, and that too sung by Dorjee Tsering, way out of his (linguistic) comfort zone, which would be Tibetan, because the song is written in Esperanto. That music comes, appropriately, just after Alyssa Delbaere-Sawchuk opens the proceedings in Canadian-Metis. Then, as this musical fire is lit, early on in the album, the music continues – one dazzling aside, as it were, bursting forth from twelve bodies and one unified spirit like bolts of pure sunshine. Each song seems to let words and music leap to a new lyrical stop. Luis Deniz’s saxophone solo with its parabolic phrases and lines played against the unison soundscape of “Canto a la Tierra” is just marvellous. Every song has its own unique origin, but once the musicians begin to sound their instruments and open their voices they seem to inhabit a new and sacred space unique to KUNÉ. It’s hard to pick a particular favourite because melody and rhythm, and especially harmony, and each element is created and forged anew in every new moment of musical ecstasy. This is an album to die for, not merely because of its uniqueness, but because – as it does with the great Oscar Peterson’s “Hymn to Freedom” from his Canadiana Suite – it awakes every human emotion, as great music is supposed to, with an enormous in-breath of fresh air and new hope.